These easy chicken breast recipes are some of my favorites. Most are quick and easy preparations, perfect for any busy day family meal. Many are special enough for a Sunday dinner or special family gathering. This boneless chicken breast recipe is easy and delicious. Serve this havarti cheese chicken with roasted potatoes or rice, along with your favorite vegetables. Serve this garlic chicken and shrimp recipe with hot cooked pasta, or try it over hot boiled rice. Purchased Alfredo sauce makes this dish relatively easy to prepare. Feel free to use your own homemade Alfredo sauce or another cheese sauce you might prefer. A delicious veloute sauce makes the perfect gravy for this simple skillet chicken dish. Prepared chutney and green onions make a flavorful sauce for these easy skillet chicken breasts. This easy chicken is tasty with rice, or use the pasta of your choice. Feel free to use sliced asparagus instead of peas, or use another vegetable. Serve these simple, flavorful chicken breasts on a bed of rice. A tasty sweet and sour sauce is featured in this easy skillet chicken dish. The dish takes just minutes to fix and cook in the skillet, and you probably have most of the ingredients on hand. Chicken breasts with wine and mushrooms, a recipe with dry white wine, mushrooms, lemon juice, and mushrooms, along with a flour and herb coating. Pan grill, broil, or grill these tasty marinated chicken breasts. Fresh basil gives the chicken breasts great flavor, but feel free to use dried leaf basil instead. 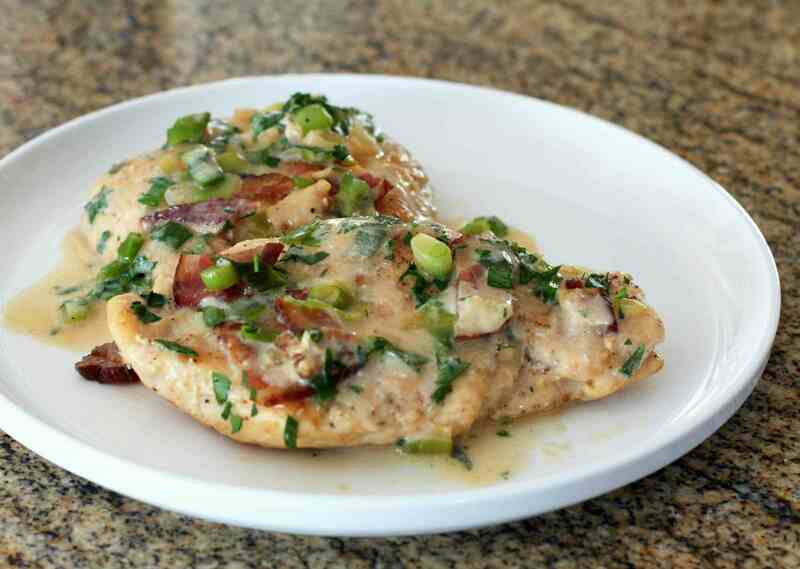 Serve these tasty chicken breasts with rice and a tossed green salad or steamed vegetables. This is a flavorful dish, great with rice or pasta, or serve it with boiled new or fingerling potatoes. Feel free to replace the wine with more chicken broth. This is an easy orange chicken recipe using boneless chicken breasts. Replace the Cointreau or Grand Marnier with chicken broth or more orange juice, if you like. This skillet lemon chicken is a snap to fix and cook, and it's delicious with hot buttered noodles or rice. Feel free to use a dry white wine to replace the Marsala wine. Garlic and orange juice help to flavor this light and easy chicken. Serve these chicken breasts with rice and a salad for an easy everyday meal. A buttermilk marinade makes these chicken tenders extra flavorful and tender. This is a quick and easy recipe to make for any day of the week. Serve with potatoes or rice and steamed vegetables for a complete meal. Make this easy chicken and tomato skillet with chicken breasts or chicken parts.